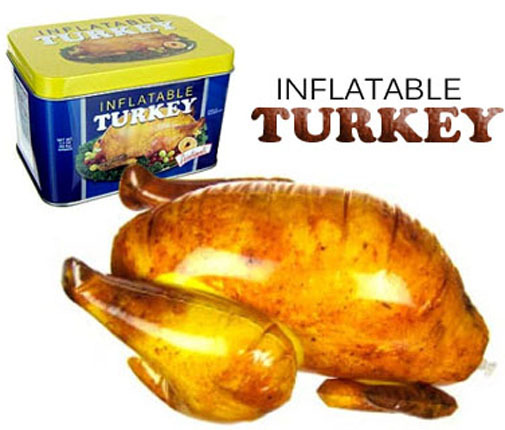 This Inflatable Turkey looks so delicious you can almost smell the stuffing. But keep the carving knives away, because this bird is strictly for show! Each 16" (40.6 cm) long, vinyl turkey is perfect for staging your Thanksgiving table while the real turkey is roasting, or batting around on a sunny day at the beach. Comes deflated in a 4-1/4" x 2-3/4" x 2-7/8" (10.8 cm x 7 cm x 7.3 cm) illustrated tin. Shrink wrapped.